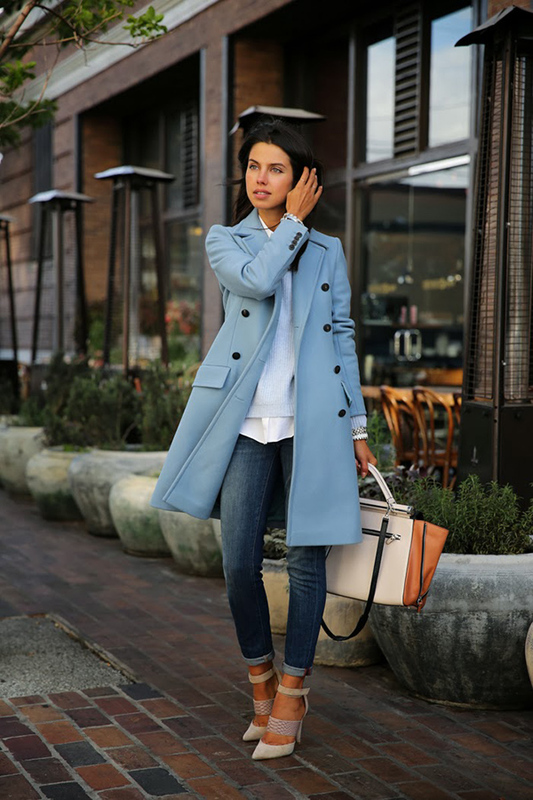 How many of you have heard of Annabelle Fleur? I bet, not many. Too bad, because this young lady has such a gorgeous style that you will fall in love with it the moment you see it. There aren’t so many fashionable people who truly represent the model we can go for. However, Annabelle seems to be the idol we’ve been missing for so long. Not only extremely beautiful, but also intelligent, this European beauty knows how to charm our minds. Read on to find out more deatils of her story as well as check out the fabulous photos of her saucy looks. My dream ever since I was little, was and still is to be a designer. A few years ago, I was fortunate enough to work and collaborate with a wonderful shoe designer. Seeing my ideas come to life made my dream even more real and I think solidified my decision to pursue fashion design. Looks like, Annabelle is a very gifted person. Her outfits by no means demonstrate incredible talent as well as understanding of the current fashion tendencies. If she knew nothing about fashion, how on earth could she come up with such adorable ensembles? By the way, her favorite designers include Chloé, Chanel, Etro, Alexander Wang, 3.1 Phillip Lim and Erdem. I think the main reason I started a fashion blog was so that I can connect with people who are as passionate about fashion as I am and of course to express myself creatively. So, naturally my outmost goal is to reach more readers, to continue to grow, both personally and professionally and of course to always have fun. After all, if it’s not enjoyable, it’s not worth doing. I never felt complete until I started my fashion blog. Once I did, I realized that fashion is what I love and working in fashion industry is the only thing that makes me happy and fulfilled. So, without a doubt when I look into the future, I know I would like to continue to work in the fashion industry and also to realize my dream of designing shoe and jewelry collections. This was just a little part of thoughts by Annabelle Fleur. I fell in love with this beautiful and charming lady, whose great dedication, sense of style and deep love for life make every single look of hers even more engaging and fascinating. Check out the gallery for more looks of the Latvian beauty. Although I’m a gent, I’m highly interested in fashion: both of men and women. I saw Annabelle on pinterest first. The moment I saw her, I felt that she’s unique in her demonstrations.I’m sure she has a bright future in the filed of fashion. I honestly believe that she need more attention than this!